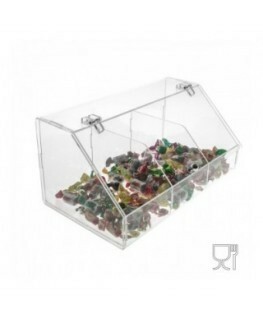 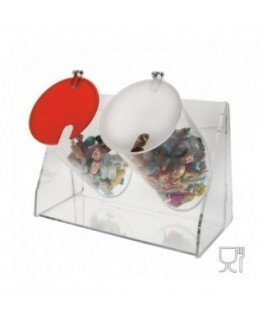 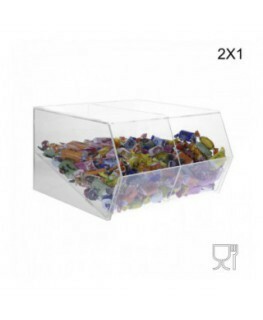 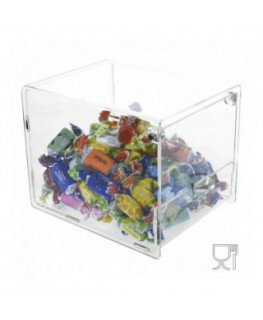 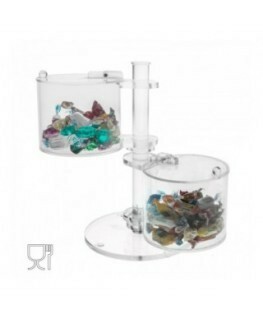 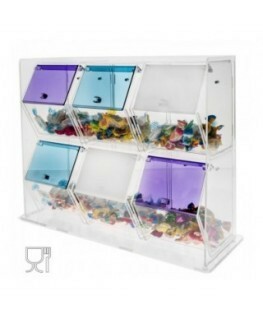 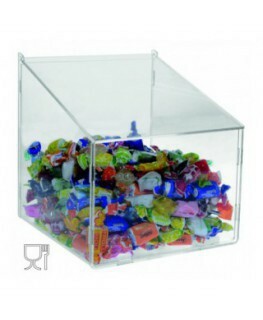 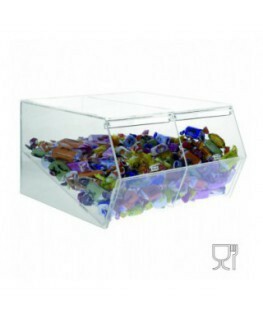 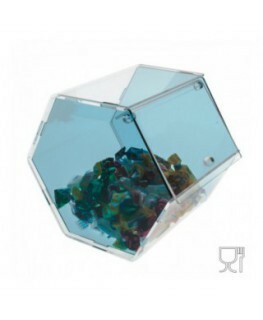 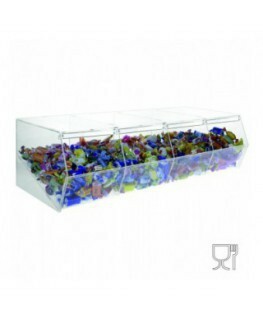 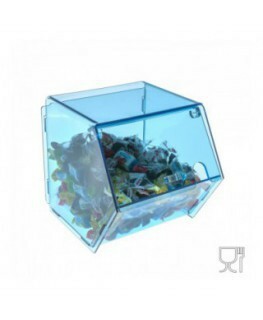 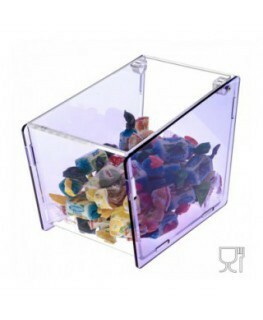 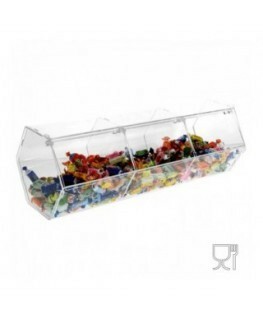 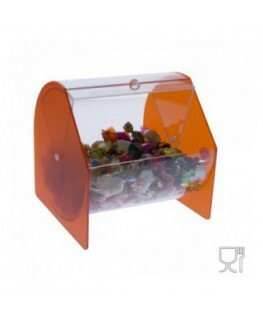 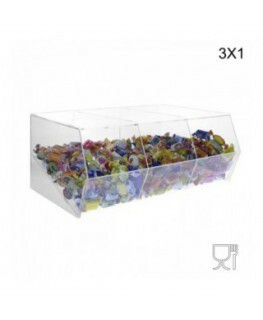 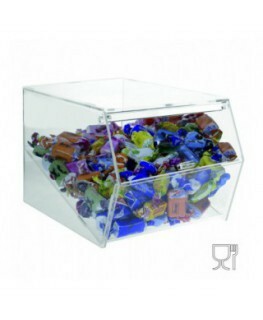 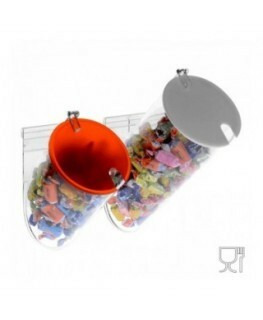 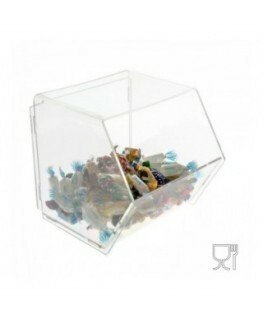 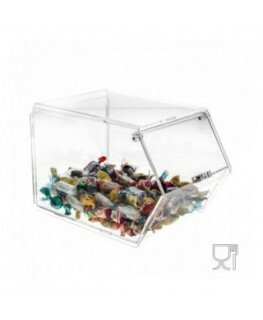 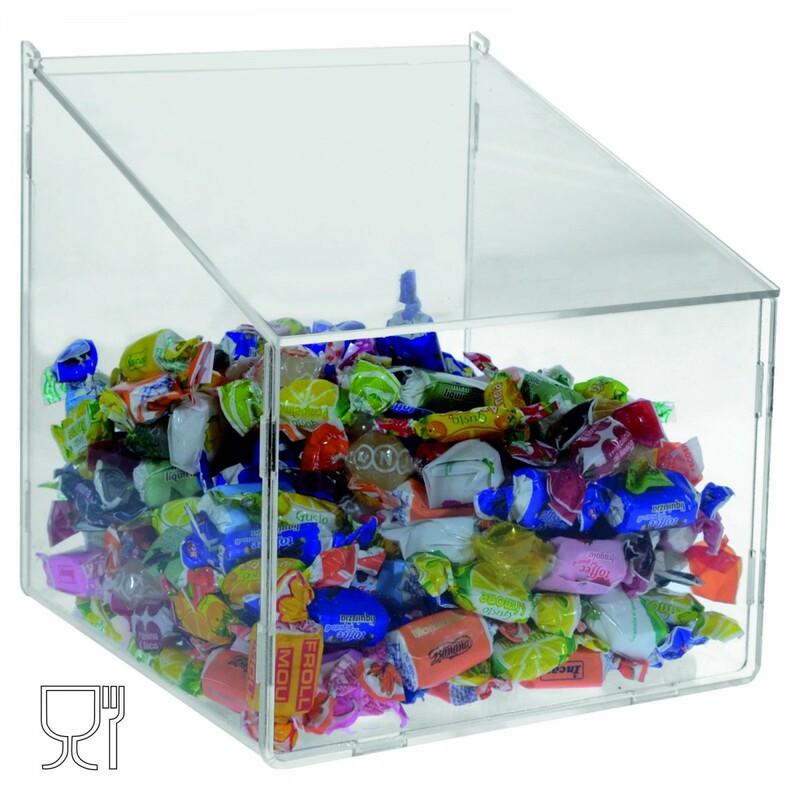 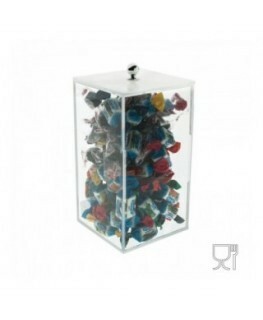 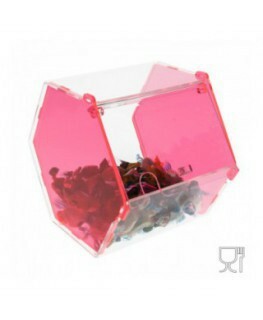 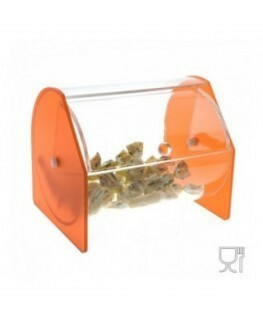 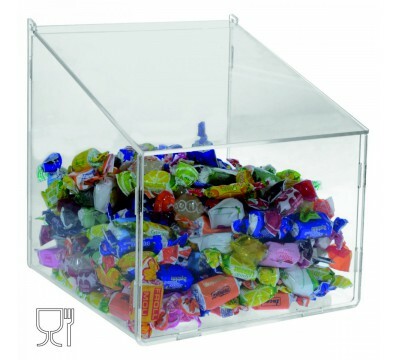 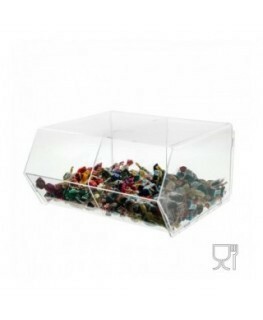 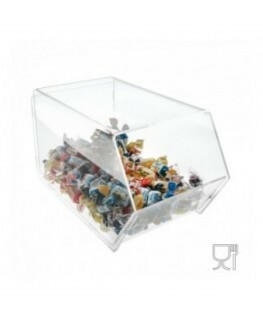 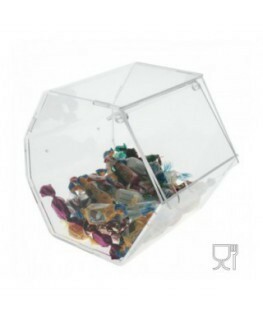 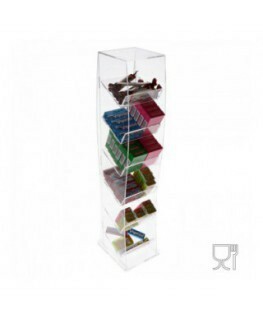 This little acrylic trapezoidal candy bin is suitable for food. 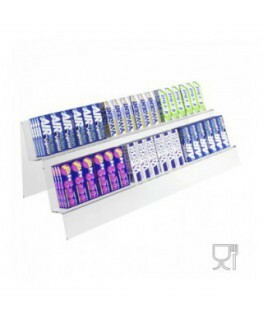 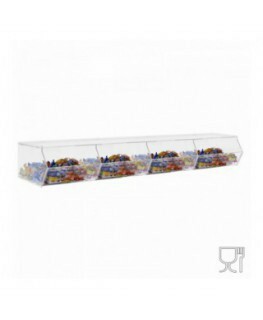 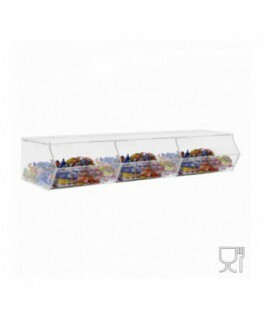 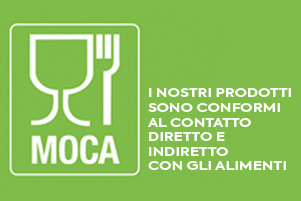 The display is equipped with an upper flap that protects food from external agents and ensures data integrity. 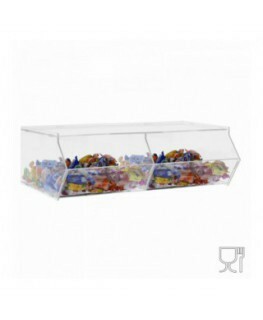 It is ideal for ice-cream parlours, cafés, tobacco shops, cinemas, etc.